Reiki Healing is an ancient Japanese healing art that was re-discovered by Dr. Mikao Usui, has no religious affiliation and is a fantastic healing tool to restore balance, to heal and to harmonize all aspects of the person - body, mind, emotions and spirit - and it can also be used to encourage personal and spiritual awareness and growth. 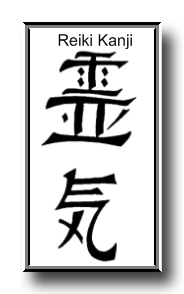 The word Reiki means universal life force energy, it's the power which acts, flows and lives in all living things. What is Reiki... A powerful natural system that unlocks the inner flow of vital energy and allows one to be in touch with their true nature and harmony. Reiki is a completely self-contained natural healing system. ...for use on yourself or with others, using universal life force energy, the same energy which brings forth all life in the universe and nourishes it, to treat physical ailments without using pressure, manipulation or massage. when combined with any other healing practice, medical or therapeutic techniques, is highly beneficial to relieve side effects and promote recovery. The benefits of Reiki Healing are many. ...on yourself is one of the greatest gifts you can give yourself. Reiki Psychic Surgery is also a very powerful tool to add to your arsenal of healing tools. Because everything in the universe is composed of energy, it means that you can use Reiki on absolutely everything! In other words Reiki healing energy can be used on what you can see and touch (all things physical) as well as on what you cannot see and touch like the past, the present and the future because Reiki energy is pure energy. You can make up your own mind after reading the some of the background that I have given you, in as close to baby language as I could get, in this section. 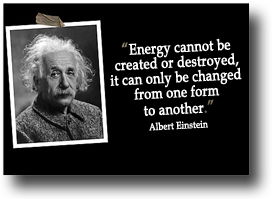 That at an atomic level (the level of individual atoms) everything that exists in the Universe is energy. So this proves that energy is all there is. Every person, place, or thing on earth, everything in the entire universe, is composed of energy. That from a scientific perspective sound, light, radio waves, X-rays even human beings are all part of the electromagnetic spectrum (a chart that shows patterns of various frequencies of visible and invisible light). That the only difference between these various forms of energy is ... that each vibrates at different frequencies. The lower the frequency the denser the matter (visible) i.e. your physical body. Every cell, atom, and subatomic particle that makes up the human body is vibrating at different rates depending on their biochemical make-up. Electrical output of different organs can be measured e.g. the heart with the E.C.G. machine, the whole body with an electromyograph. The normal biological frequency for the human body is around 250 cps (cycles per second). The higher the frequency the more transparent the matter (invisible) i.e. your energy body. Your aura is the equivalent to your whole physical body, the major chakras are equivalent to your brain and major organs and the meridians are equivalent to your arteries but instead of blood they carry "Chi Energy also known as Prana and Ki". That physical matter and energy are just two forms of the same thing... make a Reiki Crystal Grid. This research recorded the output at sites on the body traditionally associated with high energy spots known as chakras derived from the Sanskrit word for wheel or vortexand some very interesting results were obtained. Most people in the study recorded within the normal range of 250 cps (cycles per second), but when these same tests were carried out on people who used healing energies like Reiki and people actively using their psychic abilities their frequencies registered in a higher band of between 400 and 800 cps. Therefore it can be said that healing energies like Reiki raises your vibrations (the higher and clearer your vibration, the healthier you are) and from the research done there is scientific evidence, that alone in my opinion proves that Reiki makes a huge difference in health and well-being. Energy is a constant give and take. A battery for instance, when the energy supply is low, doesn't function well, it gets charged and voila it can once again run on its own. Not only are your energy levels depleted constantly by the daily stresses of life but if you are suffering from an illness (physical, mental, or spiritual), your energy supply is lessened. Reiki healing energy works like a charge... to assist you in bringing your energy level back up to its natural flow, thereby enhancing your own natural healing powers. Energy that does not flow becomes stagnant. Just like a dam of water with no movement becomes stagnant, smelly and mosquito ridden; so the energy in your body also requires constant movement, or it becomes stagnant and sick. Reiki healing moves energy & feels like a whole lot of unconditional LOVE!